Rep. Spain followed through on his promise to help those families in need on Friday with the first round of deliveries of diapers and supplies to area pantries, including Spring Bay Pantry. Over 600 diapers, over 800 wipes and several diaper rash creams were delivered to the Spring Bay Pantry by Rep. Spain’s staff as part of a district-wide effort to help with diaper and supply donations in time to distribute to families before Christmas. Rep. Spain’s Holiday Diaper Drive collections ran from November 13- December 11 to help address the insufficient supply of diapers to keep infants in need clean, dry, and healthy. In total, over 4,000 diapers were collected, nearly 5,000 wipes and several dozen diaper rash creams. 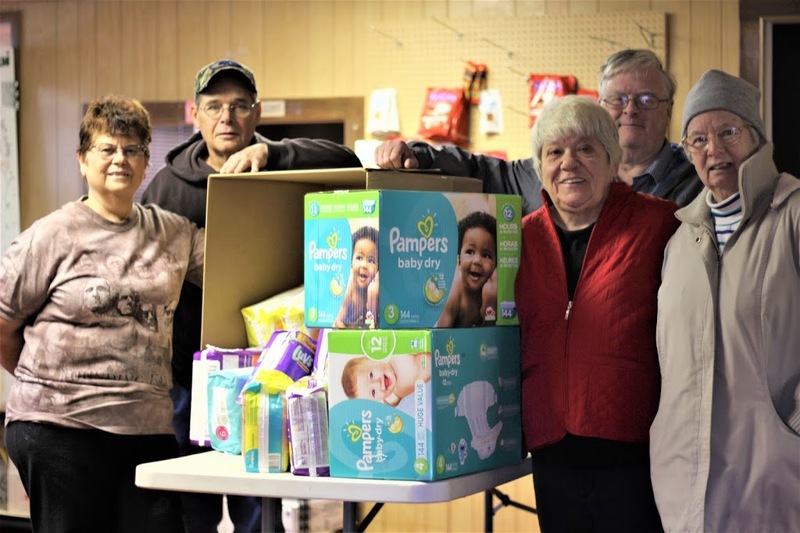 Many donors helped contribute to this effort, but many of the diapers received by the Spring Bay Pantry were collected by the Metamora/Germantown Hills Junior Women’s Club. “I am grateful for all of our donors, but especially wanted to highlight the support of the Junior Women’s Club in helping families within their own county. Their support helped make this a great success and will help many families,” said Rep. Ryan Spain. Children under the age of 5 comprise 13 percent of the State’s SNAP recipients and more than 25% of WIC recipients are infants. Diapers cost an average of $18 per week or $936 per year. According to the National Diaper Bank Network, low-income families report a shortage of 50 diapers per month.